What makes up a Template Set? Templates. These contain the HTML for your forms. 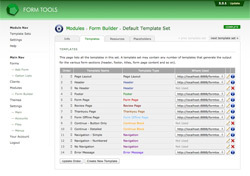 The Templates are split into discrete, semantic "Template Types" which contain the markup for a particular element of the form page (see following section). Resources. These are optional CSS or JS files that for use in your templates. Placeholders. 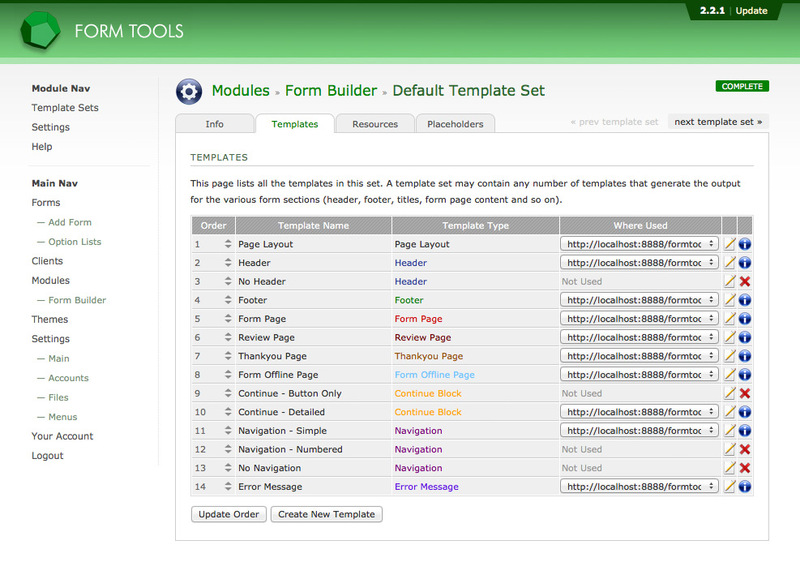 These are optional variables that can be used in your template and resource files to control the appearance and behaviour of your forms.